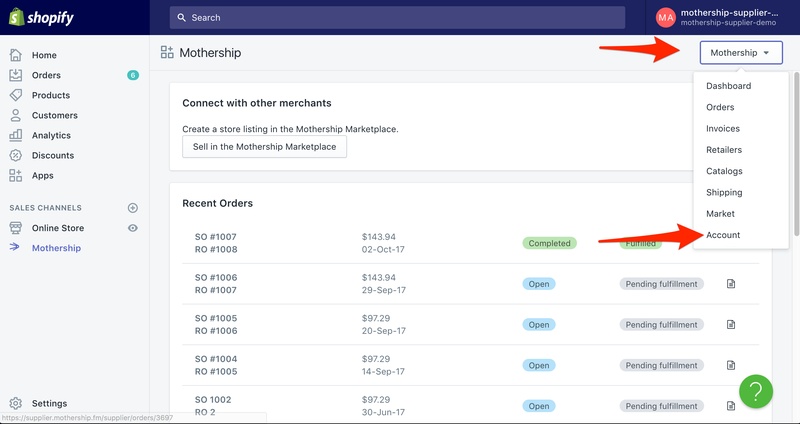 Open up Mothership in your Shopify admin panel, click on the Mothership dropdown in the top right, and select 'Account'. 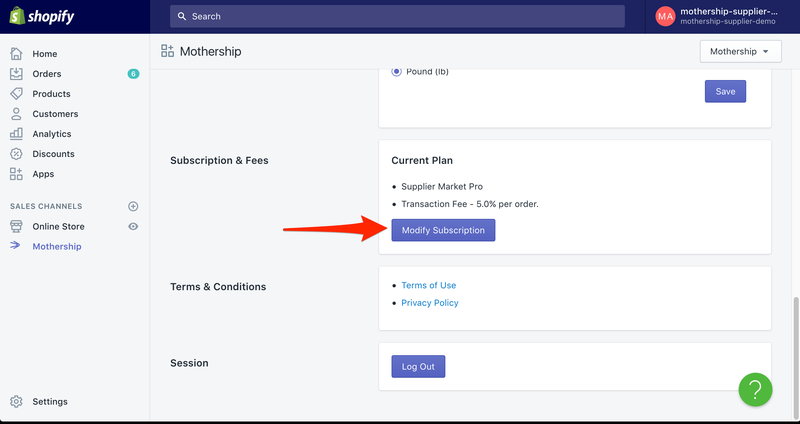 Next, scroll to the bottom of the page, and click on the 'Modify Subscription' button under Subscription & Fees. 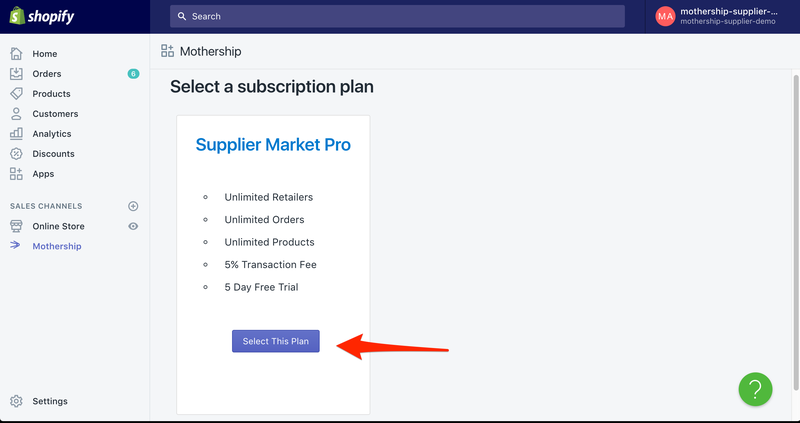 On the next page select the subscription plan that best meets your needs. If you have a custom subscription plan, it will be the only one listed here. 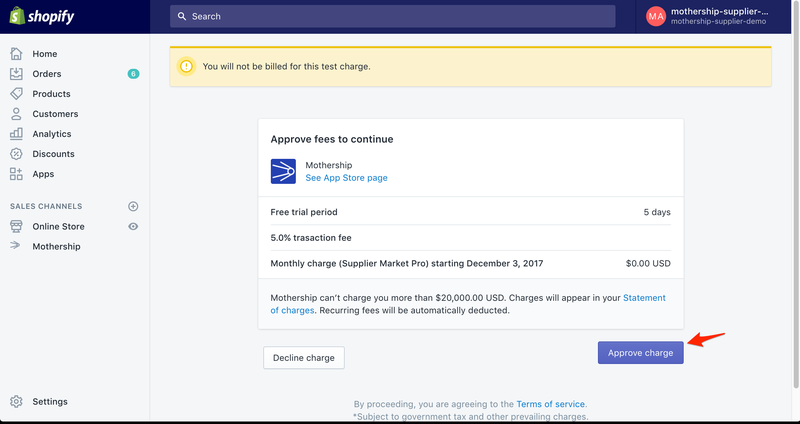 Finally, approve the new subscription charges.